Russian President Vladimir Putin may attend the wedding of former German Chancellor Gerhard Schroeder scheduled for October, the Bild newspaper wrote on Sunday. "Putin may soon make another visit to Germany, this time a private one. 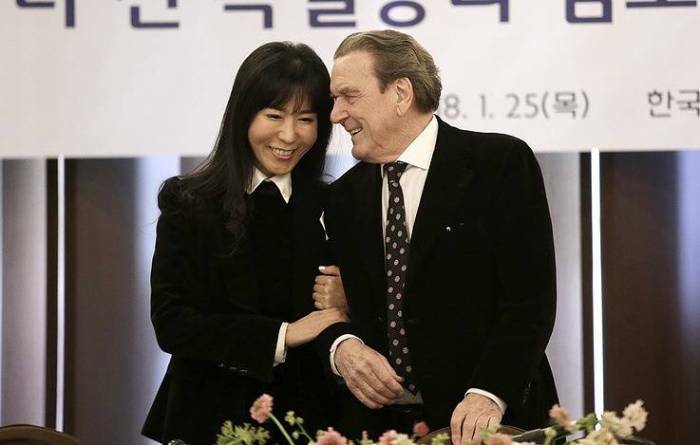 Rumors are circulating in Berlin that in October, he may attend the wedding of his friend Gerhard Schroeder," the Bild said. According to some reports, the wedding ceremony is going to take place at Berlin’s Adlon luxury hotel on October 5. Bild added that "in mid-September, Russian Foreign Minister [Sergey] Lavrov is expected to visit Berlin." However, German authorities have not yet confirmed the visit.